Rainy days seem to be pretty common this summer here in Indy! So, what do we do? One thing we love doing when the rain keeps us in is cuddling up on the couch with a big bowl of popcorn and a fun family movie! So, we're always on the hunt for DVDs to add to our collection! 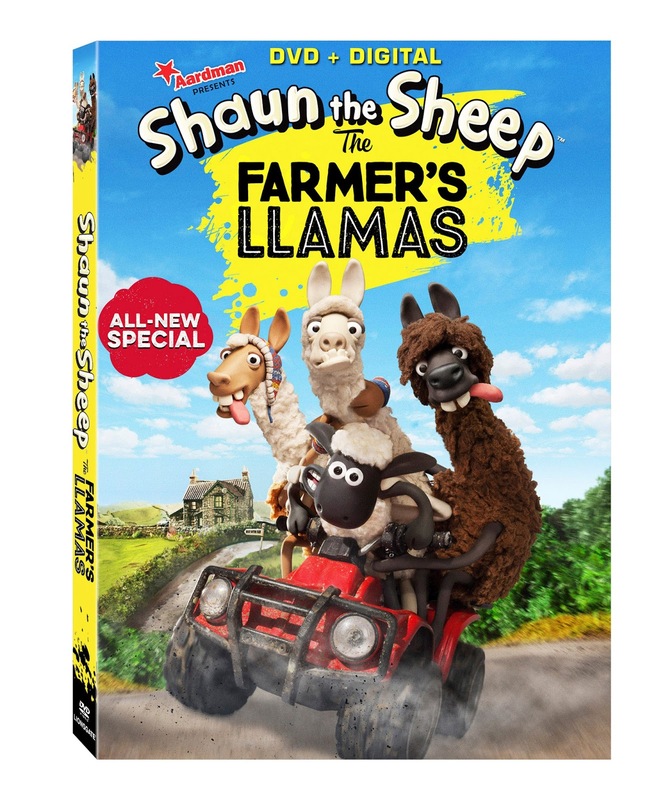 Today I'm excited to share with you one such DVD that my son has fallen in love with- Shaun The Sheep: The Farmer's Llamas! Now, I must admit, personally I'm not a huge Shaun the Sheep fan...it's just not my personal taste. My son on the other hand LOVES it! First and foremost, he loves the name! Not only is his name Shaun too, but it's spelled correctly and everything! That certainly drew him in initially. But it was show itself that kept him coming back for more. He was a Wallace and Gromit fan before, and Shaun the Sheep offers some of that same humor and animation too. From the first joke to the last, anytime my Shaun watches Shaun the Sheep, he is falling over in laughter the whole time! Again, I don't understand it--- but he enjoys it and that's the most important thing! This DVD was no different! He absolutely loved it! If you already have a Shaun the Sheep fan, this is going to be a must have to add to their collection. If you've not yet experienced the show, this is a great place to start! Your little ones will so enjoy laughing as they follow Shaun the Sheep along on his hilarious and goofy adventure! This truly is a great addition to your children's DVD collection and perfect for those gloomy, rainy summer days! It will be available to purchase on June 14th! Ahh!! Super fun!! We love those sheep!! My son will be so super excited!! I don't think this would be my taste either, but I do think my kids would find this funny. We watch movies on rainy days too!